The Star Wars franchise is seriously the gift that keeps on giving. Even though the first movie came out in 1977, the series has been capturing imaginations non-stop ever since. While it’s great to see new stuff from the universe, we always love it when we get a good throwback. So enter Mark Hamill, who just shared what is probably the first picture ever of himself in character as Luke Skywalker. And it’s a super adorable photo, too. "Taken in Tunisia early morning Day #1 waiting for my 1st shot (emerging from home for robot auction)-Perhaps the very 1st #LukePic #SW."
We’re loving Hamill’s seriously cute pose in this photo. With his hands intertwined over his heart and the kind, open expression on his face, he definitely looks more like Luke Skywalker than Mark Hamill in this picture. We also think it’s amazing how much he believed in Star Wars before it was a hit. It’s funny to think about, but at the time no one knew what Star Wars was. 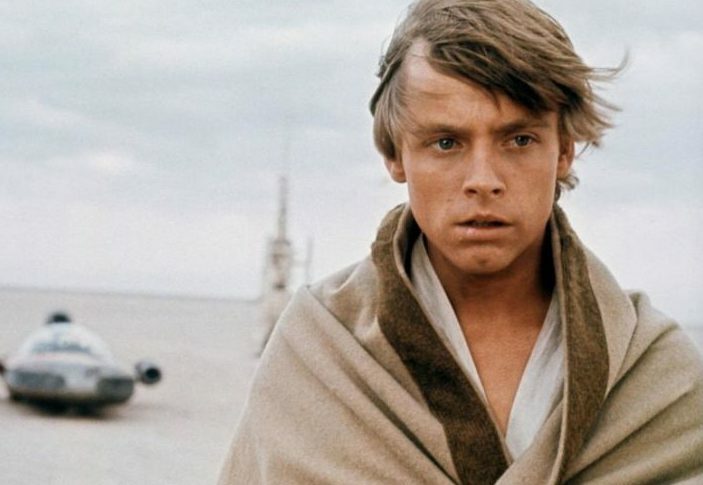 Hamill was just a young, unknown actor on an unheard sci-fi film shoot in a desert, far, far, away. A Twitter follower asked Hamill what he was thinking in the photo. Did he think Star Wars was going to be a hit or was he just thinking about how dusty and bright it was? Hamill simply replied that it was probably a combo of both. This tweet comes only a couple days after Hamill tweeted some love for Star Wars: The Force Awakens star John Boyega. So thank you, Mark Hamill, for posting all this great Star Wars nostalgia. We seriously hope you have more, because we love seeing it.